Massey Hall has stood as one of Toronto's premier concert venues for over a century since it first opened its doors in 1894. Ahead of a two-year closure for a massive renovation project, the venue is gathering some of its most esteemed alumni for a musical celebration. The June 14 performance, which marks the venue's 124th anniversary, will feature folk rockers Whitehorse serving as both the house band and featured performers, leading an all-star lineup of musicians that includes Jim Cuddy, Buffy Sainte-Marie, Sam Roberts and Sarah Harmer. More artists are set to be announced ahead of the show. 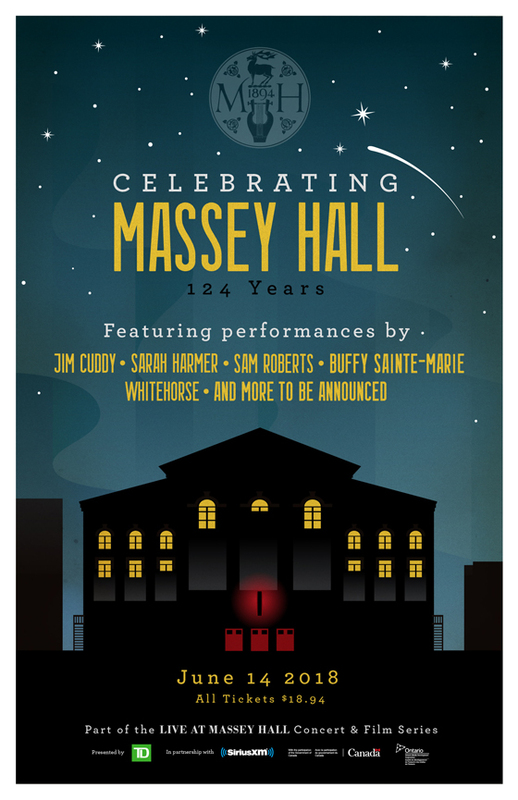 All tickets for the evening have been priced at $18.94, to honour the year Massey Hall officially opened. Tickets go on sale to the public on Friday (May 25) at 12 p.m. EDT, and can be purchased online here, in-person at the Roy Thomson Hall box office or by calling 416-872-4255. Massey Hall will temporarily close on July 2 to undergo the massive revitalization project. The venue is expected to reopen in the fall of 2020.